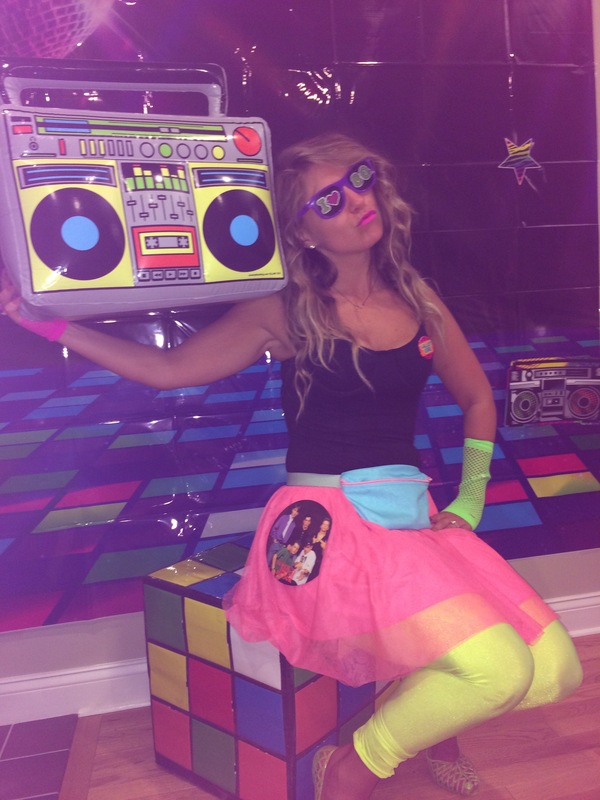 Kickin it 80’s Style: So many options when dressing for the 80’s but this is what I went with! Yellow Jellies (American Apparel) I remember those plastic shoes used to cut up my feet! curly hair (Curling wand and Patience) Go Big Or Go Home! I used a Nume Curling wand and tried to curl my hair as close to the scalp as possible with a deep part! However it was humid and I was running around so it ended up looking wavy..
Fanny Pack (American Apparel) To make it stand out against my outfit I clashed colors with a cotton candy blue and pink fanny pack. New kids on the block button: I had that same button when I was younger just not quite as large ! Found this on EBay! New Kids on the Block (I was kinda obsessed, hmmm no. I was obsessed!). I knew every word to their songs! Posters on my wall.. I had their dolls.. the whole nine yards. 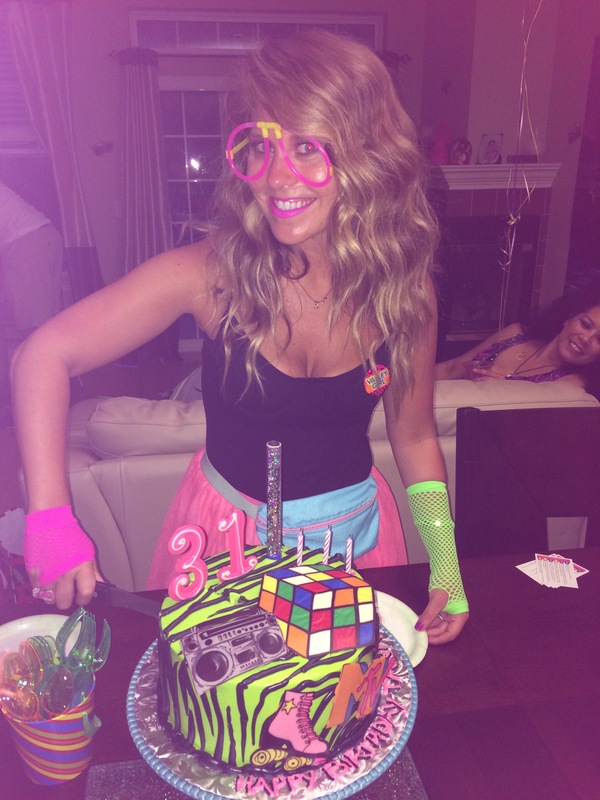 My fav was Jordan without a doubt. They were awesome.. c’mon they even had their own cartoon! I also was a big fan of New Edition and Genesis. 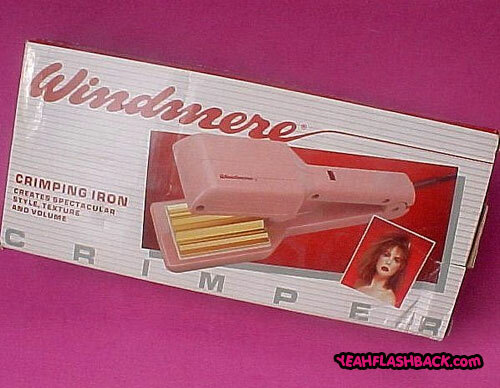 Hair Crimper: The hair crimper was my best friend well into the nineties!! I totally fried my hair with it. I always wanted curls and waves, I even begged my mom to perm my hair (not a good idea). Also you could not go wrong with a ponytail high up to the side and a scrunci! Neon: Everything was neon from my nose at the pool (Remember Zinka?!) to my L.A Gears. Am I the only one who thinks Zinka should make a come back?! 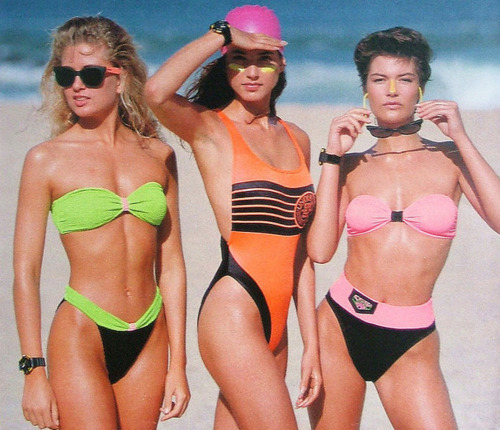 I always thought wearing that stuff was a super cute way to wear sunblock! 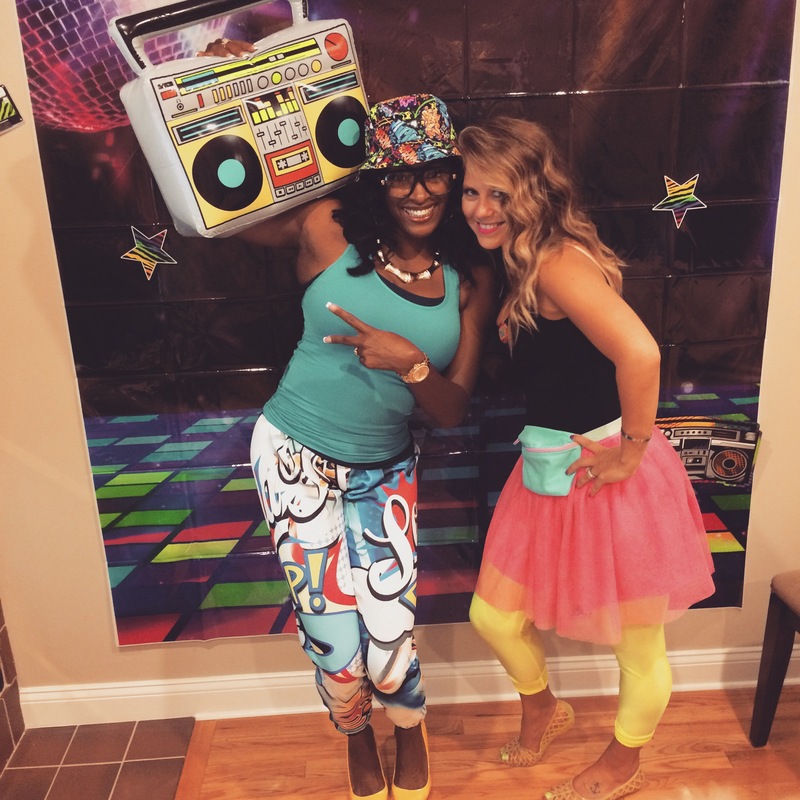 Fanny packs and slap bracelets were also a must! 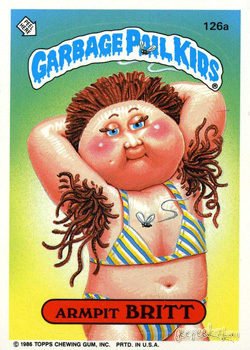 What were some of your fav things from the eighties?